Four lost Kirby minigames from the Super Famicom’s Satellaview have made their way into the hands of preservationists after a surprise auction and some help from fans. 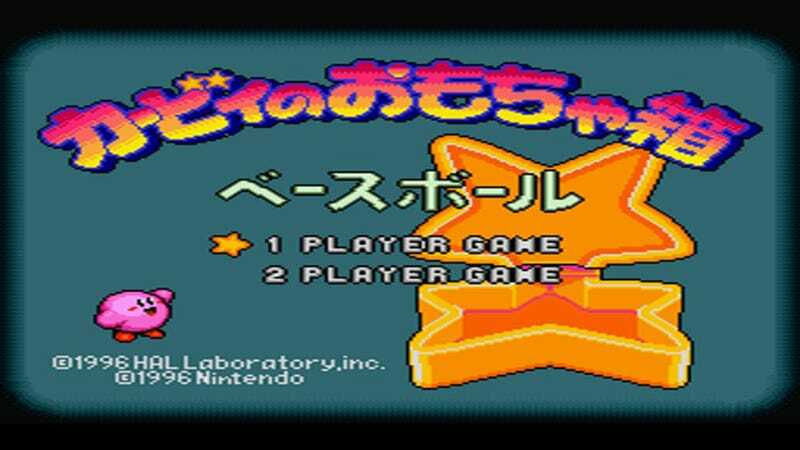 Kirby no Omocha Hako (「カービィのおもちゃ箱 or “Kirby’s Toy Box”) was a Satellaview title consisting of 10 mini-games. The Japanese only peripheral allowed players to download games via a satellite connection. Plenty of games were made for the Satellaview but many have been lost to time. For those that are found, it can take a long time to get them back to their original state. Strapped for cash but faced with an opportunity to save a bit of gaming history, fellow preservationist Frank Cifaldi sent out a signal boost on social media to see if eager fans cold make sure they won the raffle. They rallied to help and the preservationist managed to win all four auctions. The total cost? 85,500¥ or $813.08 USD. Preservationists often find rare gems at auction. From prototype builds to incredibly rare titles, various games find their way into the hands of people looking to find the best price they can. Sattelaview games are particularly difficult to acquire. The games were written temporarily into system memory and were replaced when a new game was downloaded. Finding one of these would be difficult. Finding four presented a huge opportunity. Many of these carts are put up for blind auction. It’s rare to know what you’re getting in advance. Only three Kirby’s Toy Box mini-games were preserved before now. Once these fresh finds are in the preservationists’ hands, they plan to ensure the games are playable in emulators.